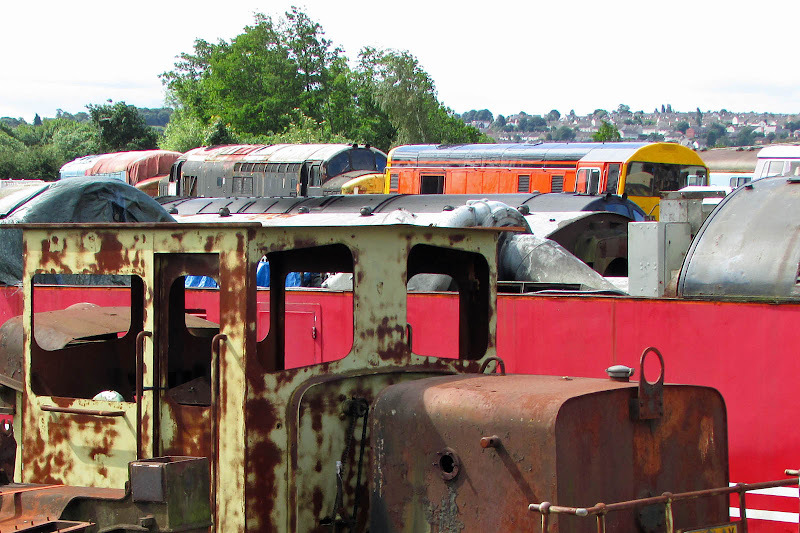 Starting with DRS, 7 of their 8 Class 20/3's understood to be at Barrow Hill. 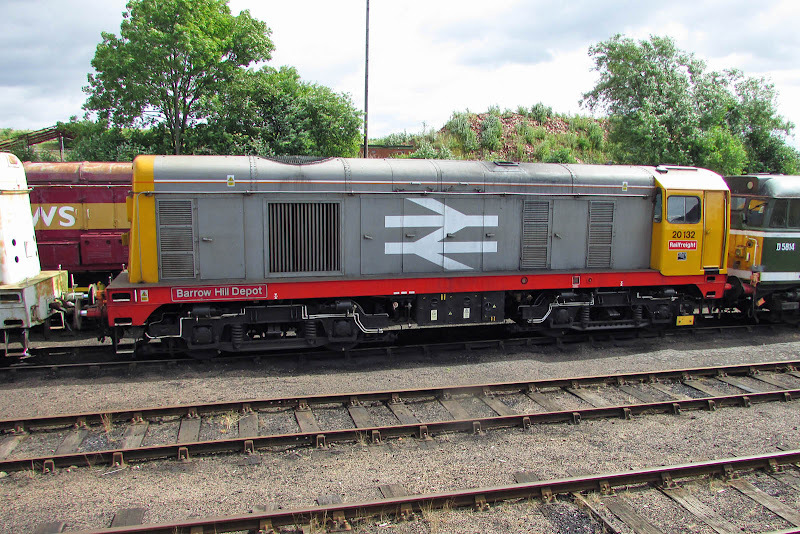 Reports are that apart from 20312, these are undergoing a re-wheeling programme to prepare them for several more RHTT seasons. 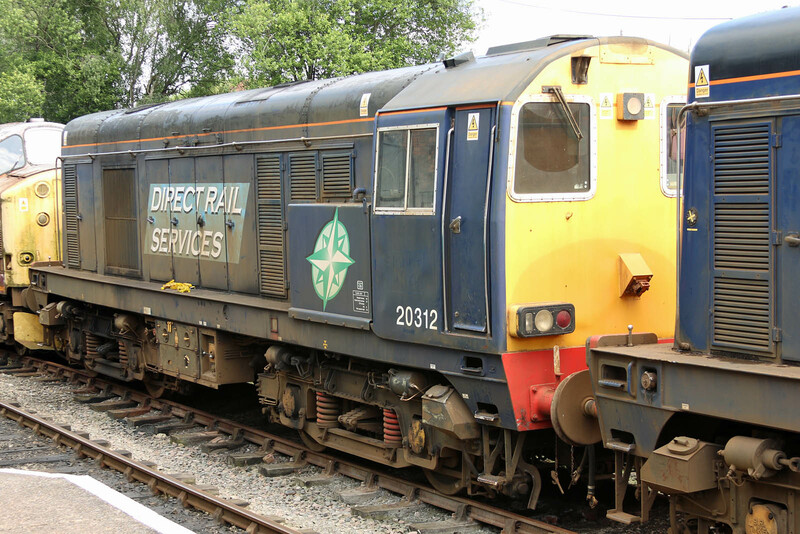 20302 (20084, new September 1961) still covered in grime from RHTT workings, stored in December 2015 from Kingmoor. 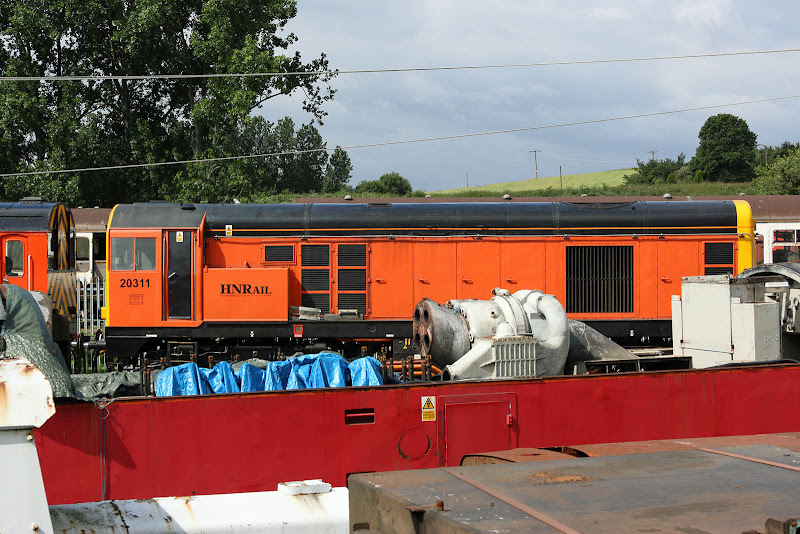 20303 (20127, new in July 1962) stored in December 2015 from Kingmoor. 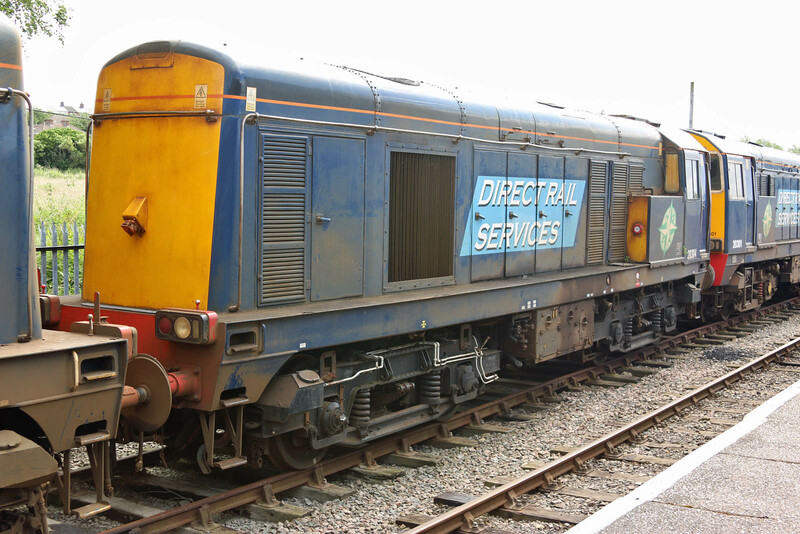 In the DPS shed and off its bogies. 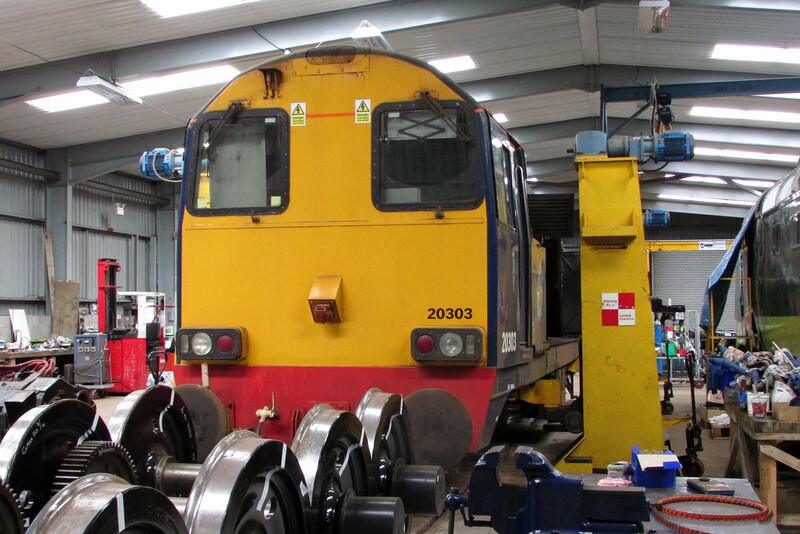 20304 (20120, new in March 1962) stored in April 2015 from Kingmoor. 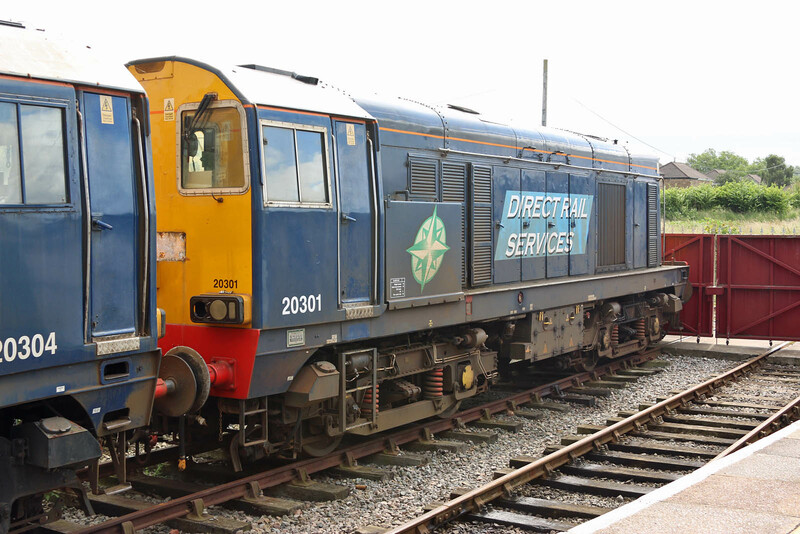 20305 (20095, new in October 1961) stored in December 2015 from Kingmoor. 20308 evaded me - likely in the hidden area outside the DPS shed (also 37403). 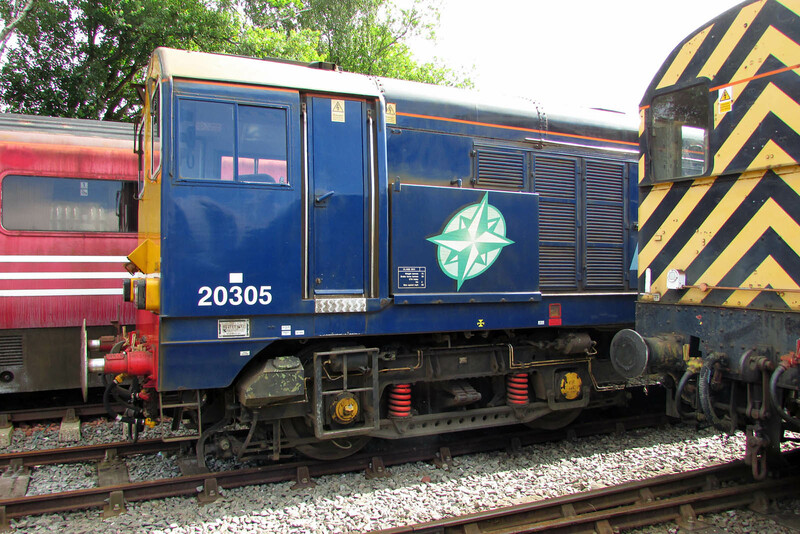 20309 (20075, new in July 1961) stored in November 2015 from Kingmoor. 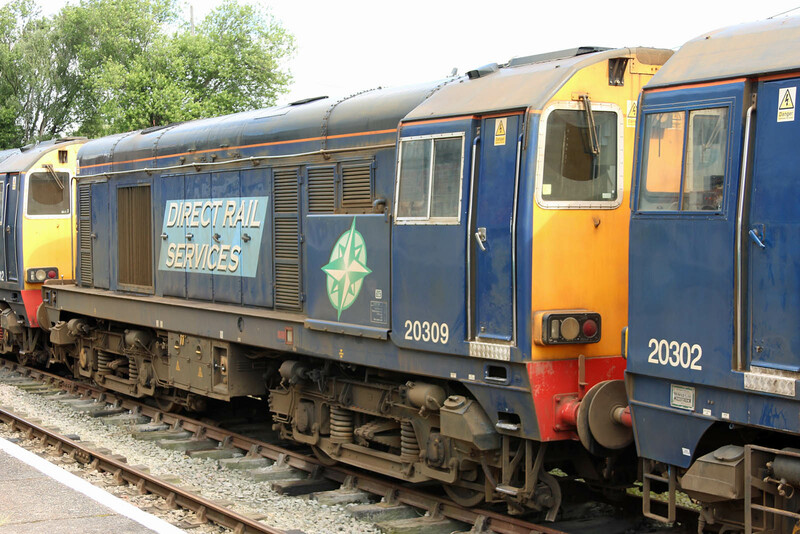 20312 (20042, new in November 1959) stored in January 2015 from Kingmoor. 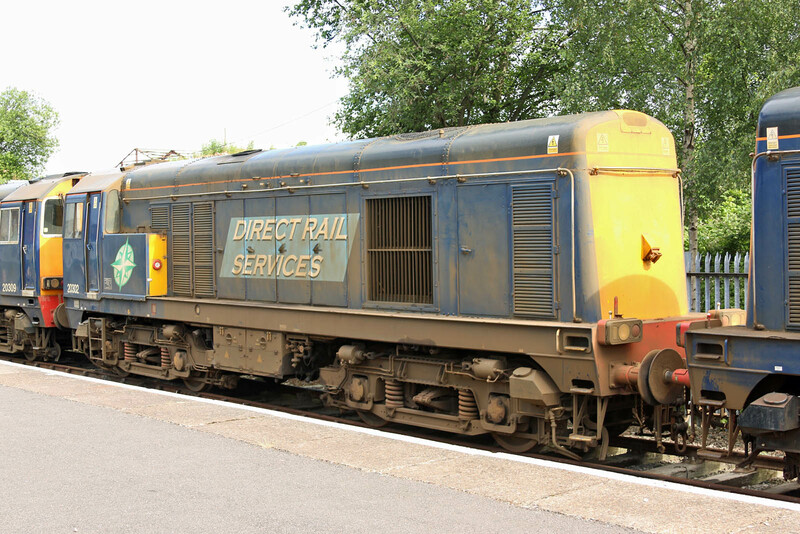 Understood to have a cracked engine block, this was withdrawn from the DRS January sale for spares for use on other DRS Class 20s. 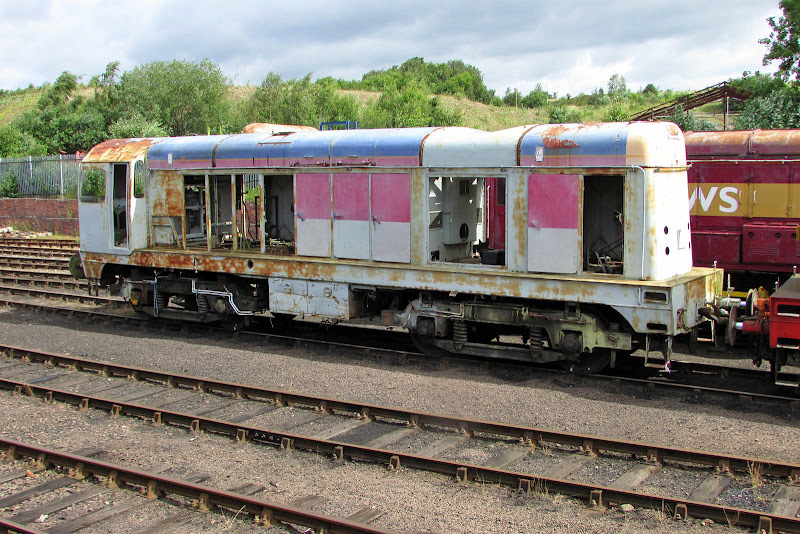 Heavily stripped 20092 new in October 1961, withdrawn from Bescot in December 1994. 20118 Saltburn by the Sea (new in March 1962) which is active in the GBEE mainline pool, where it has often been seen working with 20132. 20121 new in March 1962. Not believed to currently be main line registered. 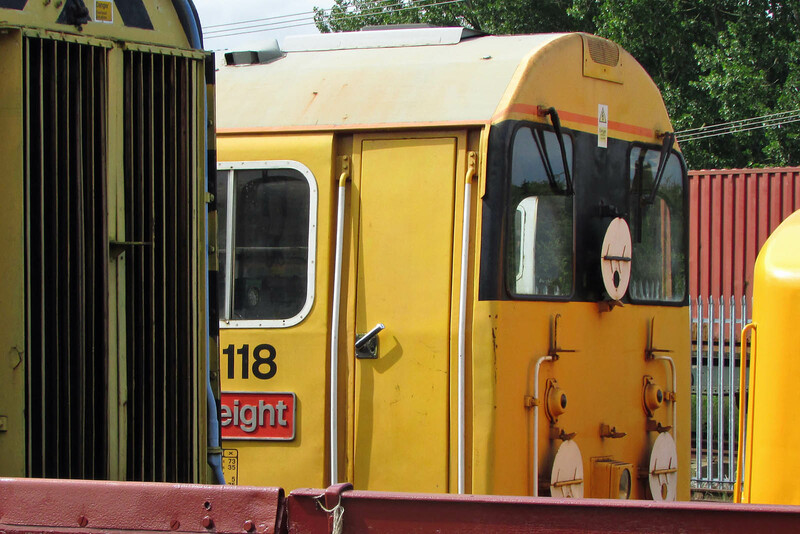 Following in line are 37188 and 45105. 20132 Barrow Hill Depot (new in March 1966) and part of the active GBEE pool. 20311 (20102, new in December 1961) also part of the active GBEE pool.